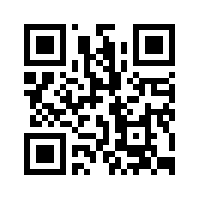 A QR (Quick Response) Code is a mobile phone readable bar-code. It was the creation of Toyota Subsidiary Denso Wave, in 1994, to track vehicles during the manufacturing process. Used frequently in Japan, the United Kingdom is actually the 7th largest consumer in the world. Denso Wave owns the patents rights but has chosen not to exercise them and QR codes are free from any licensing fee. QR Code is clearly defined & published as an ISO Standard. A QR Code simply compresses a whole lot of data into an image that truthfully looks like static. Using a mobile phone: If the device has had QR Code decoding software installed on it, it will fire up the browser and go straight to that URL. Some QR Code readers require you to take a photo of the QR Code. You can search your smart phone App Store for a QR Code reader. Use bar code scanner or QR code reader if you are battling. But it doesn’t stop there − a QR Code can also contain a phone number, an SMS message, V-Card data (contact details) or just plain alphanumeric text, and the scanning device will respond by opening up the correct application to handle the encoded data appropriately courtesy of the FNC1 Application Identifiers that are embedded in the encoded data. You could even print it onto marketing material such as business cards, t-shirts, mugs. The list is endless. Using a QR Code Generator you can create your own QR Code. We have a number of QR codes for our business, including one on the back of every staff member’s business cards. When creating a QR Code to use with mobile phones and PDA’s it’s best to stick to Version 4 or lower, and a QR Code symbol of at least 2cm (0.85inches) across. It doesn’t matter whether the QR code is upside down or wrapped around a curved surface, the message will still get through. Have fun creating & reading the messages out there, now that you’re "in-the-know".